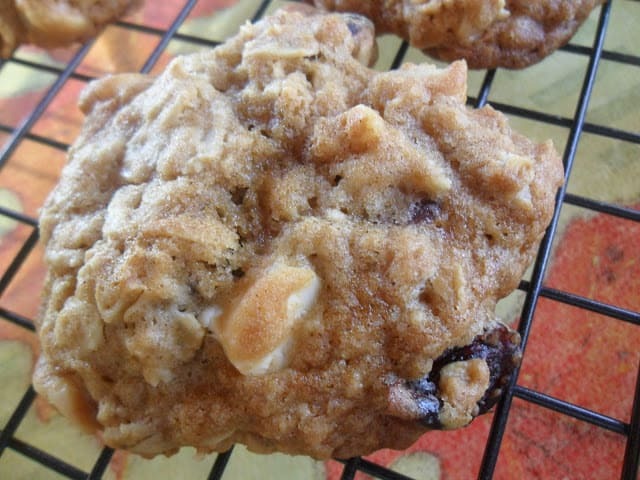 Oatmeal Cherry Berry Nut Cookies are Berry Good! My all thyme favorite cookie. Once you eat one…you can’t stop! 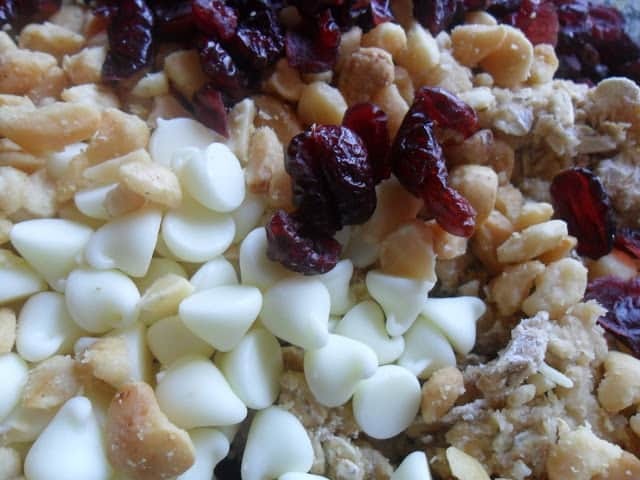 Packed full of our favorites; oatmeal, dried cherry berry mix, white chocolate chips and macadamia nuts. With a line-up like that, what’s not to like! 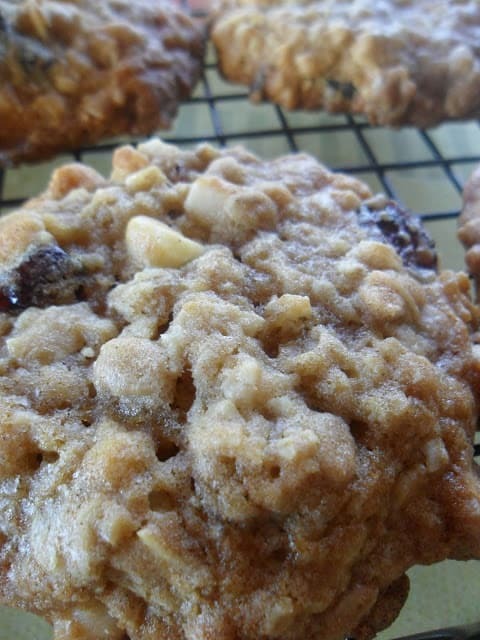 Sweet yet tart, crunchy yet chewy, these cookies have everything that’s good in a cookie. My favorite ingredient tho has to be Cherryland’s Best, Cherry Berry Mix. This recipe is made with a Door County favorite, Cherryland’s Best Cherry Berry Mix. What is cherry berry mix? Cherryland’s Best takes their amazing dried Door County cherries and blends them with Wisconsin dried cranberries and blueberries too make an unbeatable taste sensation. Perfect to add to cookies, pies, muffins, scones, brownies and anything else you can think of. Great to snack on straight from the bag too. Sweet yet Tart, Chewy yet Crisp. Delicious and Perfect! Preheat oven to 350º Line baking sheets with parchment paper. In large bowl beat together butter, brown sugar and sugar until creamy. Add eggs, one at a time, beating well after each addition. Add vanilla extract, mix well. Add flour mixture to butter mixture, mix until blended. 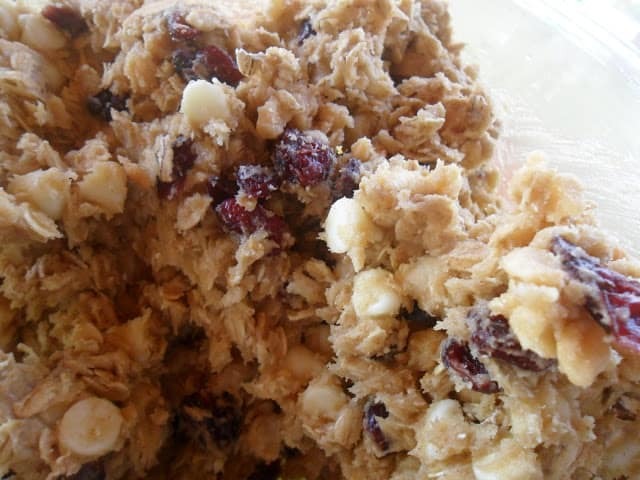 Add berry mix, white chocolate chips and nuts, mix well. 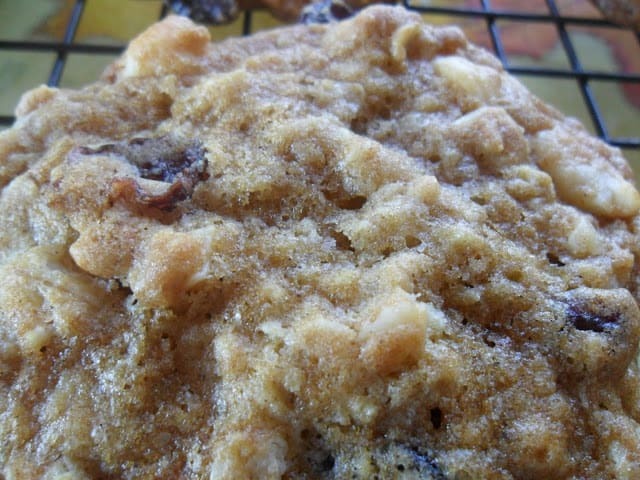 Drop by rounded tablespoons onto parchment lined baking sheets. Bake at 350 for 10-12 minutes. Cool on wire rack.